Hi Crafty friends, today's post is a little different from my usual crafty makes. 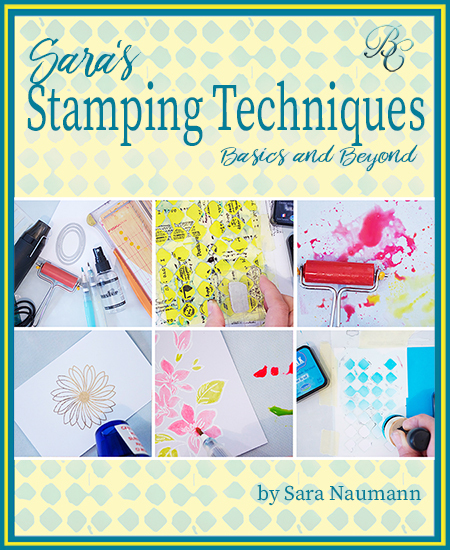 I recently got my hands on a copy of Sara's stamping techniques by the awesome Sara Naumann and wanted to share with you my views on the book and the techniques shared within it. Before I dive in some of you may be asking who is Sara Naumann well, she is a very talented crafter, demonstrator and designer. Some of you may recognise her name/face from her time on Create and Craft while others may have seen Sara's facebook live's for Altenew.....yep this lady has her crafty fingers in several pies, lol. I love all of her work and believe me she can pull off any style, be it mixed media or clean and simple. So on to the book, "Stamping techniques - basic and beyond" is so much more than the title gives it credit for. 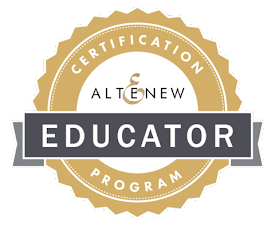 Whether you are a seasoned crafter or just starting out you are bound to learn something new or be reminded of a technique you had long forgotten. 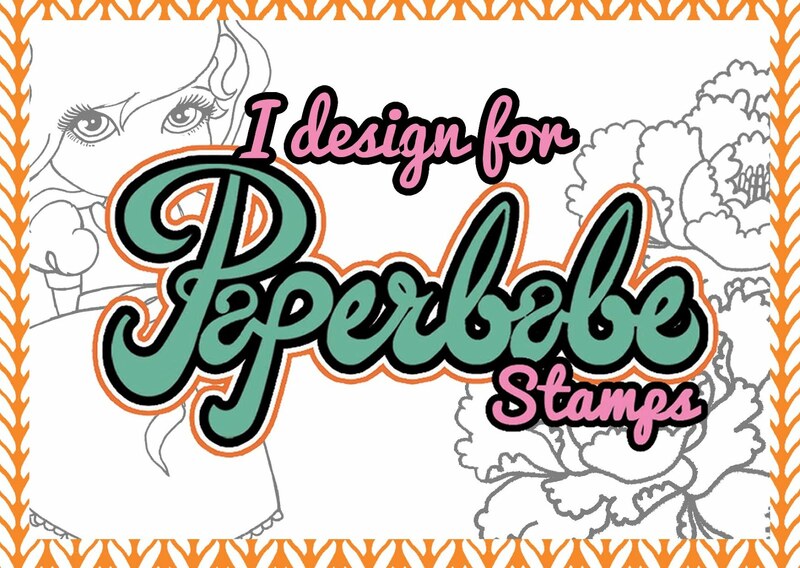 The book is a digital book which can be viewed on any device and retails for $14.97, inside there are 24 stamping projects which show inking, embossing, brayering and many more techniques. The big bonus here is that there are 7 exclusive videos in which Sara shows the techniques up close and personal, I dont know about you but I love to see things in action as well as reading the steps. Each of the techniques have clear step out photos and written instructions to help guide you. 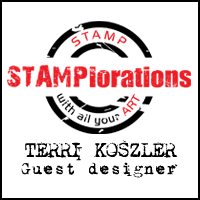 Sara takes you through everything you need to know to create beautiful cards, from getting your stamps out of their packaging to how to make that first stamped image, Sara really holds your hand and you can tell that she is the voice of experience. One of my favourite parts is the section on masking, when I started out I was baffled by how others managed to get one stamped image to look like it was behind another, this book clearly shows you how to achieve this. One of the techniques I hadn't tried until I read Sara's book was, stamping through a stencil. Yes you read that right, stamping through a stencil. I always thought stencils were for inking through or drawing round but now my eyes have been opened and I can see lots of new things I could achieve. 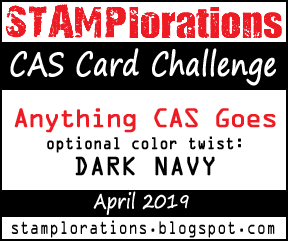 The book really is jam packed with great advise, tutorials and card ideas. I really hope you'll give it a read and try out some of the techniques shown.